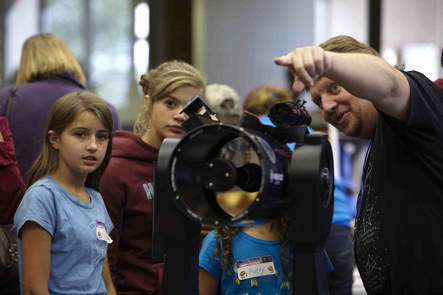 Cool Science Carnival Day for Kids at UCCS is truly STEAM on steroids! 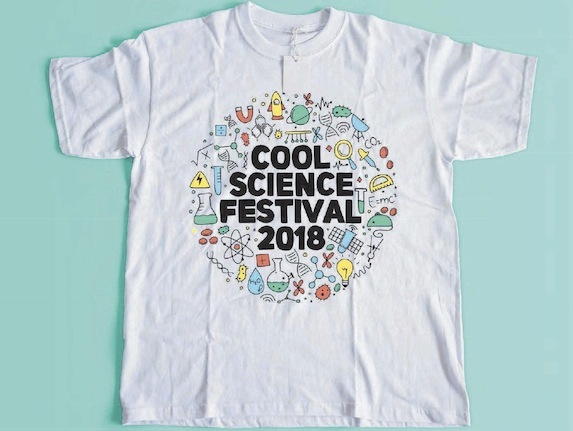 We'll have exciting demonstration shows, talks, laboratory tours and demos, music, rockets, drones, animals, bugs, solar energy, telescopes & microscopes, rocks, fossils, a simulated cave, robots, electronics, virtual reality computers, a pop-up planetarium, an ambulance & fire engine, slime, an electric race car, liquid nitrogen ice cream & Dippin' Dots and lots of other fun hands-on STEAM activities and exhibits for kids (primarily K-8th grades). All of this is presented by Cool Science and dozens of participating companies, schools, museums, clubs, nonprofits and other organizations from throughout eastern Colorado. It's all FREE (including parking) and fun for all ages! Check out some photos from previous Carnival Days. 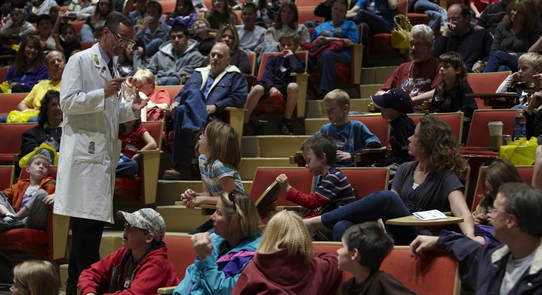 Don't forget that Carnival Day is just the first of more than 60 great Colorado Springs Cool Science Festival events for all ages- bird walks, cooking demonstrations, pinball machine, even a rare tour of an historic hydroelectric plant and much, much more! Check out the full 9-day schedule for more information. Parking: All campus parking lots are FREE on Carnival Day, check the campus map for more information. Arrival: Our activities will be spread across much of the UCCS central main campus, inside and outside the University Center (UCTR), Centennial Hall (CENT) and Osborne Center (OCSE) (see campus map). We will have Information Tables with maps and volunteers to assist you at the main entrances to each of these buildings, but a good place to start is the lower University Center on the east side of the El Pomar Center (EPC on the campus map). Weather: We'll go rain or shine. If it is raining, snowing or extremely cold we will move most of the outside activities indoors. UCCS graduate biology students will demonstrate cutting edge biotechnology research (all ages, meet at Biofrontiers Activity Station inside Osborne main entrance near pendulum). What really happened during a crime? LWith real cases as examples, learn how technology can help evaluate evidence and determine whose version of events is closer to the truth (grades 6-12, Centennial 188). We haven't decided yet all of the activities we'll present this year, but you know they'll be cool! Check back soon. Become an archaeologist and find fossils on a Discovery Table! We'll have microscopes and photos to get an even better look at your finds! Learn about dairy products while making your own tasty ice cream using liquid nitrogen. "Build your own active plate" by choosing from our various TrueFood options. We'll also compare homemade protein/energy bars to store-bought cookies or granola bars.